Height and Width – It is recommended that the top edge of the highest frame should be about seven feet from the floor, and the lowest piece should end six (6) to ten (10) inches above the furniture, with the center of the arrangement at eye level. Let the edges of the outermost frames extend three to six inches beyond the sides of the furniture. This arrangement ensures you have a good ‘visual anchor’ for anyone who views the artworks. In-Between Spacing – Our eyes are trained to look out for spaces but when it comes to art, they look for patterns. Therefore the more tightly your paintings are arranged, the more visually appealing it would come off because it would look deliberate and thus not random. Leaving about two to three inches between frames would be good enough. Marble sculptures – Dust lightly with a goose feather brush or lamb’s-wool duster as it would attract dirt and won’t leave a residue behind like a common cloth rag would. Dusting every day is recommended but if not possible then once a week for sure. Marble attracts dust very fast so you need to shower it with more love! Your decor will come alive once you start using art as a central focus. It takes time and effort but the pleasure of creating a space that is completely unique to you and reflects your taste and design sense is truly satisfying. Art and Decors, is India’s premier, affordable luxury e-commerce brand for curated global decors and lifestyle products. It offers a wide choice of products across multiple categories like original fine art, designer décors, aromatherapy, precious diamond, gold and fashion jewellery and others from global brands and independent artisans. You can enjoy Free shipment, multiple payment options including EMI’s and the industry leading A&D VIP Rewards Program that allows you to earn instant cashback’s and experience a world of privileges like special sales days and others. You don’t even have to buy anything to start earning A&D VIP Rewards Point! Visit the VIP Rewards page to find out how! The pitter-patter of water outside and that heavenly musky smell. Rains are here! Gorgeous weather, beautiful greenery and an uplifted mood are the gifts of the rains. But it does bring with it issues of dampness and moisture – mortal enemies of a well kept home! Worry not because this is how you deal with this challenge! There are multiple reasons for dampness or moisture to take place. Plumbing leaks, condensation, roof or basement leaks and even everyday household activities can be a source. Continuous moisture exposure can lead to peeling or blistering wall paint, deteriorated drywall, rotted wooden structures and dangerous mold growth and can also produce persistent odors that can make the people in the house sick. Have floor mats to ensure that wet feet are not going all over the home. Feel free to check out our range of colorful floor mats that are for just Rs. 649 and delivered free anywhere in India! If you are comfortable in your home then everyone else is likely to be as well. This sense of fulfilled life is what gives your home a soul and shows your design sensibilities to the world. One should ‘dress’ the home in their own taste rather than ‘borrowing’ someone else’s design sensibilities because it just won’t carry for long. This is key to planning your home décor budget. The budget needs to factor all the unique elements that you really want to use in your home décor. Always start with a vision of the décor that you want/would like and then plan what all would that include – paint, furniture, wall art, floor and table art, lighting, furnishings and any other elements. Cost allocation can then be done amongst all those items which would then give you your final budget. It is a good idea to factor 10%-15% extra budget to cover instances when you might end up going over because practical challenges can come up during a home décor exercise. Don’t cramp your style sensibilities over money. Your décor is the living embodiment of your taste and personality. And within Indian homes, it becomes the joint embodiment of the whole family and usually stays that way for 8-12 months before changing again or in some cases lasts even longer. Therefore it’s advisable that you spend quality money on quality products. One good décor product like (say) Murano glass art or an exquisite marble statue is worth 10 different décor products. The quality of an exquisite décor product that speaks of your personality will always overshadow the quantity of other products that don’t. That’s the big secret why wealthy individuals and families have homes that are envied and regularly featured in magazines and all. They understand the value of having a décor that is of their personality and then start acquiring décor elements to state and amplify that. The value of their investments actually improves over time because they go in for quality and that always appreciates with time. While for others they are left with items that end up being either re-gifted or stored somewhere for ‘safe keeping’ while in truth they are just too many to be actually put out as they went in for quantity over quality. It helps in educating about different types of décor products available and their uniqueness. This is not possible offline as one either doesn’t know where to go and even when they do, it’s usually limited to one place which doesn’t have the depth of offerings available online. Online helps in providing a crystal clear understanding of your budget as prices are transparent upfront. Home décor is easier said than done. Remember that home décor should not be a rushed job. It pays to be patient as it is going to be your reflection and therefore needs to be handled with care than haste. You can enjoy Free shipment, multiple payment options including EMI’s and the industry leading A&D VIP Rewards Program that allows you to earn instant cashback’s and experience a world of privileges like special sales days and others. You don’t even have to buy anything to start earning A&D VIP Rewards Point! 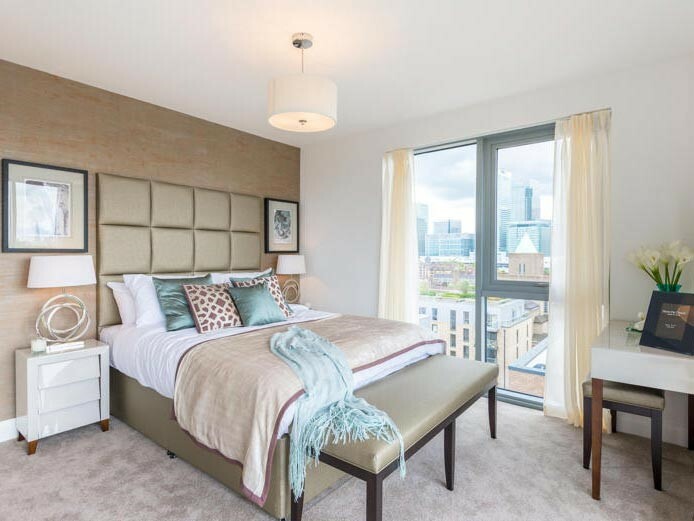 Are you bored of waking up to the same interiors day after day? Well, if you are bothered about the high redecoration costs, worry not. Here are some ideas that will help to spiffy up your home in a jiffy without burning a hole in your pocket! Painting the whole house can take time, create a mess as well as entail expenditure. If you have moved into a new home, repainting is an unnecessary expense. However, to bring a change you can try painting the house section wise. 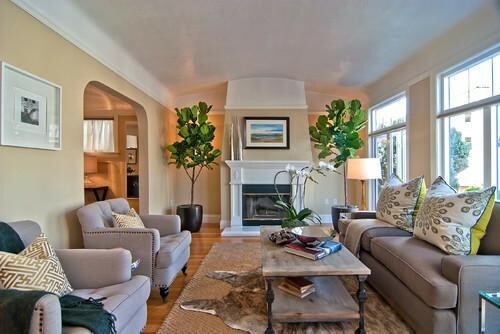 For example, you can paint one wall in bright colors which will add a vibrancy to the living room. A cool color for the bedroom wall that soothes your senses and lulls you to a peaceful sleep. Dashing colors inside the open wall shelves to add a contemporary twist. Paint your kitchen walls to contrast the cabinets and counter-top for a classy look. Are your walls in neutral shades and you do not have time to be home for supervising the painting job? The best way to add color and beauty to your home is with wallpaper. They come in numerous colors and patterns. You also have a choice of themes when it comes to adding a fun element to your kids’ room. The versatility with wall papers is that they can be pulled out and changed when you are in a mood for a new makeover. 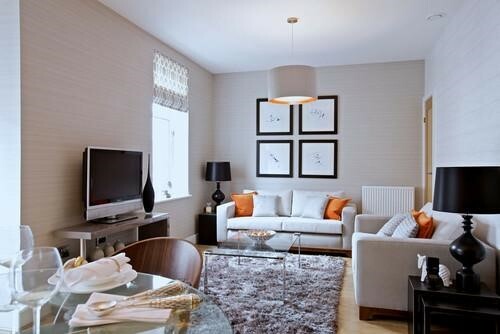 Did you know that a change in curtains and furniture can give your home a new look? 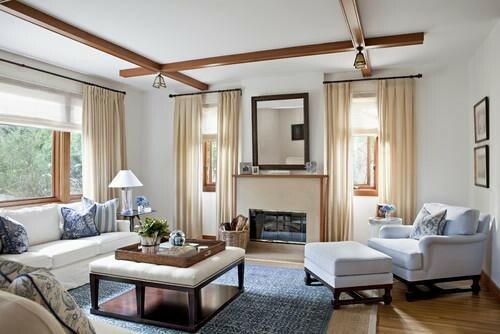 There are reams of drapes to choose from and many of them are easy to just buy and fix up. Mix and match or contrast the fabric with your walls to infuse a fresh look into your home. An attractive curtain rod with tassels flowing down midway to the length of the curtain makes a noticeable change. 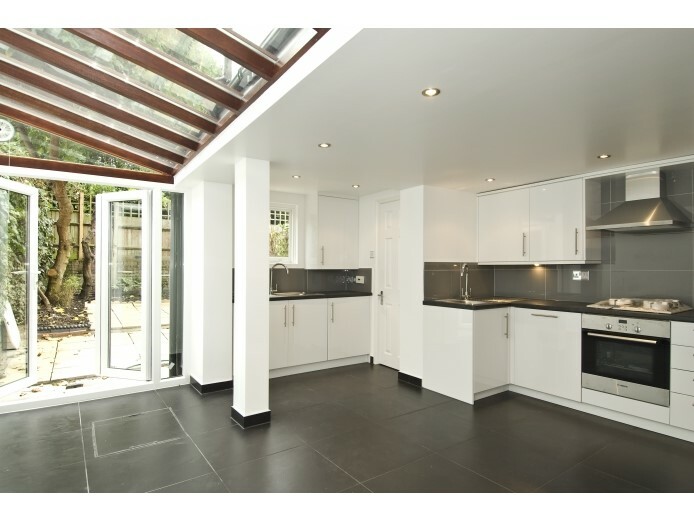 Lovely tiles across the kitchen gives a new look and fills you with enthusiasm as you cook your favorite food. Embed colorful tiles in patterns of your choice to give a novel look to your kitchen. Kitchen backsplashes in porcelain can be hand painted to add a personal touch to your home. Infuse a fresh look into your bathroom by the use of tiles. Blue colored tiles contrasted with the silver colored fittings will give you a calming effect that will make you want to spend more time in the bath tub. Instead of closed cabinets and sideboards in the dining area, open shelves work wonders in enhancing the looks. Display your bright pieces of attractive cups in bone china and porcelain. Invest in a few glass cutlery to reflect the lights when you are using the dining rooms at night. A bright tablecloth coupled with a muted light on top of the dining table is all that is needed to bring about a welcome change. Line up potted plants in your living room, kitchen, and balcony. You can hand paint the pots to make them attractive. The kitchen ledge can accommodate herbs, which you can use in your kitchen. The aroma wafting from them infuses fresh fragrance into your kitchen. DIY options include growing a creeper inside a bottle, turning your unused gum boots as a plant holder, using an inverted wine bottle as a lamp holder or transforming a bamboo basket into a painted lamp shade. The best part is that these ideas are cheap but paint a gorgeous picture of your home as though you have gone in for a complete redo. This blog article is part of our “Best Idea’s Series” where we look to bring you refreshing ideas related decor and lifestyle. The original article is attributed to Naresh. This has been desaturated from the original. Naresh is working as a content wrtier at Commonfloor, a real estate portal. He enjoys writing informative blogs, articles, and reviews. Art and Decors is India’s premier e-commerce brand for luxurious and affordable decor and lifestyle products. We welcome you to shop with us and experience true luxury of shopping and to enjoy our industry leading VIP Rewards Program. Ok, let’s start with the kitchen, after all, ‘Kitchen is King’, that at a very first sight, magnetises the buyers, especially, to the families. Depending on the value of home, considering the neighbourhood and look of the overall infrastructure, you can spend around 40% of you investment in upgrading your kitchen. Start with the little paint that actually goes a long way. Use fresh paint with modern colors. More possibly, the low-VOC paint for an eco-friendly environment so that you family doesn’t have to breath in the hazardous chemicals Benzene. Also, bring in the energy-efficient appliances to save on electricity bills. Consider opting star-rated appliances only that consume less power than ordinary one. It’s a onetime investment and you’re done! Arranging new rooms is very expensive. So you can cut down this heavy cost with the little tweak. Simply, reinvent the existing space of your home and make it look fresh and flourish. Go for the versatile rooms that could appeal to your potential buyers in a unique way. You can also transform basements into alternate living rooms where some people also utilize this as the rest room for the old family members as well as tenants. Going ahead, you can also reinvent the attic space to use it as the game rooms and craft rooms, especially when they’ve the lofty ceilings. For the home with kids, you can also add rafters and swings to this place for your little ones. With outdoor living spaces have turned more enviable, adding deck to your home can amazingly escalate your home’s value, especially for the people staying home for the particular vacation. Beautifying your backyard or deck can result in maximum number of potential buyers, if, sometime you intend to put it on sale. Depending on the size and how you want your deck to be, the expenses on this renovation can vary a lot. So, to save more money on this, get at least three quotes from different contractors. Once you’re done with the biggie things done, it’s time to look at the basic ones to beautify your home. Go for the throughout painting in your home choosing basic neutral colors. Check out the roofs and fix them if leaked. Also, look out for the mold and get rid of them if found, replace the wood that rots. Don’t forget, a solid, healthy, and safe home is what buyers actually want, so it’s good for your potential buyers as well. Change the home wiring if it’s too old, paint up the interiors, and replace the plumbing. This blog article is part of our “Best Idea’s Series” where we look to bring you refreshing ideas related decor and lifestyle. The original article is attributed to Lynelle Thompson. This has been desaturated from the original. Lynelle has worked at In:Style Direct for over seven years and has extensive knowledge of both the home improvement and rental furniture packages market. Area rugs add texture and warmth — they’re basically the finishing touch in a well-composed room. Rugs come in not only an astronomical array of textures but nearly every shape, size and color as well. Finding the perfect rug can already seem like quite the feat, so finding multiple rugs to layer may seem impossible. 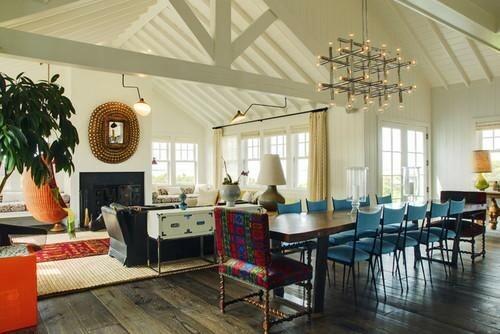 However, layering rugs can solve many design dilemma, and when done right, this method can help define functional areas of an open concept floor plan, provide pattern and color inspiration for a room, add inviting texture, or even accent smaller statement rugs. Equipped with a few guidelines, layering rugs can become less daunting. Check out the following creative ways to get inspired! 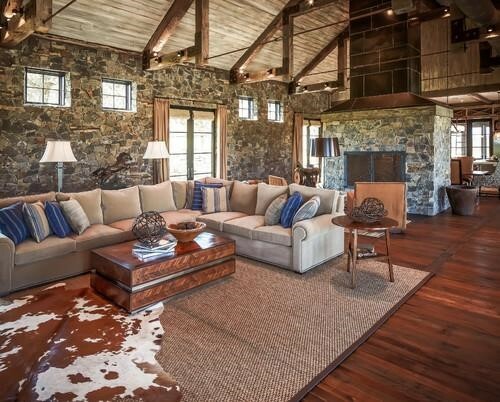 A large sisal rug spans the entire room, while the layered hide defines the seating area. This look can accent many design styles. Try layering a woven jute rug with either a faux hide rug or a gorgeous Kashmir wool or silk rug to lend an opulence to the room. The texture and color in these rugs is mirrored in the other design components of the room including the bedding, upholstery and even the architecture of the room. 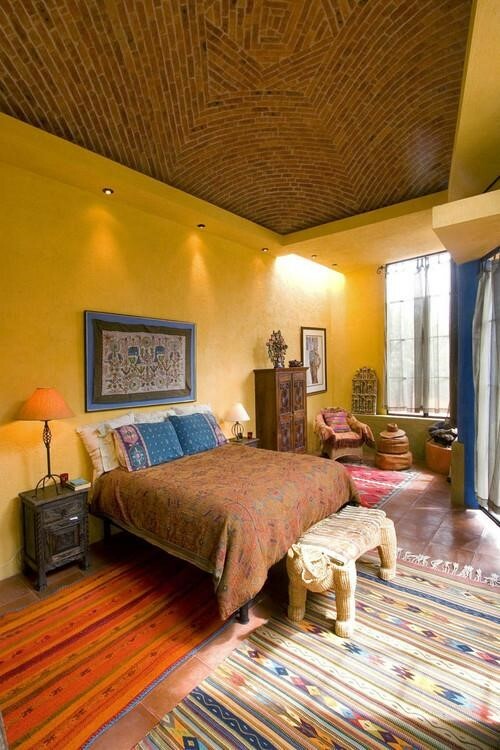 The colors and texture found in the aztec rug are also found elsewhere in this room. 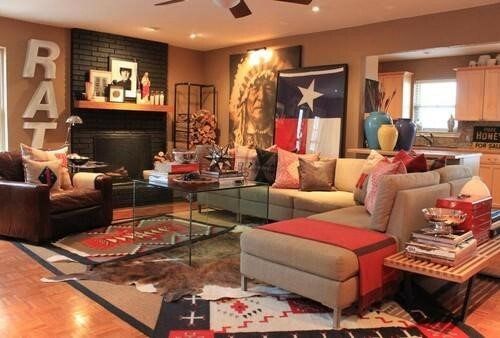 The brindle rug layered on top works perfectly with this Native-American-themed room. All these statement rugs are anchored by a neutral jute rug, highlighting the bold patterns and colors of the prints. The blues in this statement rug are found in other accents such as the sofa pillows. 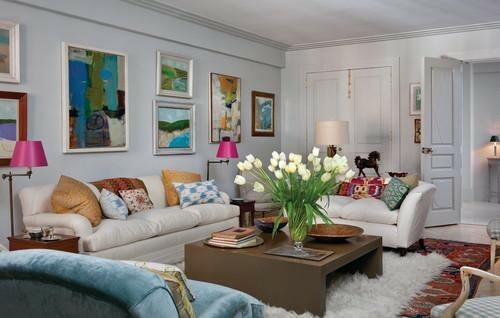 This room is overflowing with texture, between the various pillows, sofas and rugs. 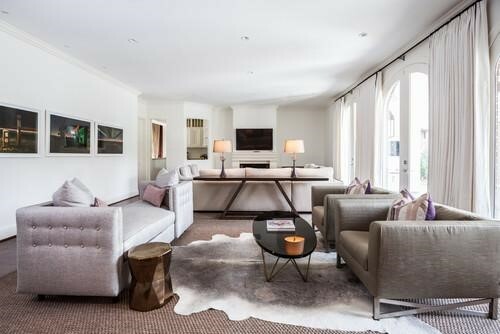 A large oriental rug is contrasted by a bright white, fuzzy sheepskin rug, creating an inviting, cozy living area. To create the above look, layer a natural fiber rug such as jute with a bold, soft sheepskin or wool rug. Alternatively, layer a boldly-printed rug with a neutral-colored sheepskin or wool rug. This look is great in living rooms to create inviting areas for conversation or in bedrooms to create a comfortable retreat. This small oriental rug would be far too small a rug in this large room, but by layering it atop a large neutral rug, it becomes a statement centerpiece in this living area. Here too, a large neutral rug highlights the long, narrow oriental rug that is layered on top of it. Stick with natural materials such as jute, sisal or seagrass in neutral colors to highlight a bold statement rug. This blog article is part of our “Best Idea’s Series” where we look to bring you refreshing ideas related decor and lifestyle. The original article is attributed to Jane Blanchard. This has been desaturated from the original. For more design ideas, visit Modernize. Building a home yoga studio can be very rewarding, and it’s a great way to increase your home’s value. You don’t need to spend a fortune to build one either. Get started by finding a quiet place to lay your mat down. How Large Does the Room Need to Be? When beginning your home yoga studio project, consider how much space you have available for one. With yoga, more space in your room is essential for a proper practice. The room should be without a bed or other large furniture. You want a room that is basically bare. You don’t need to find the biggest room in your house either. Small rooms that don’t have excessive clutter in them will work fine. Find a room that has the least amount of traffic going through it, or a place that has no noise coming from nearby areas. Once you find the perfect spot, lay your yoga mat down. Stretch your entire body across the mat and extend your arms outward. As long as you are not touching anything with your body now, you will have enough space to start a yoga studio. Stand up on your mat and stretch to the ceiling. 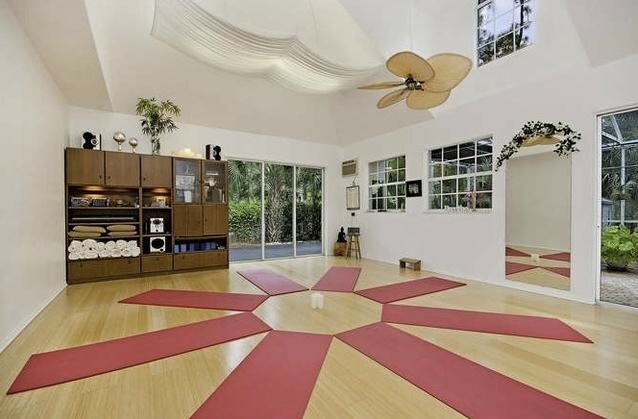 If you don’t touch a ceiling fan or the ceiling, you will have enough vertical space for your yoga studio. Furthermore, you will want to find a room that has a door that closes behind you. A hardwood floor is usually the best type of surface for a yoga studio. They’re solid enough to keep you stable during a pose, they are not cold when winter comes, and they won’t hurt your knees. Carpet, on the other hand, can be a bit too soft. If you don’t have a wooden floor, you can simply place a large wooden board over your surface. This board will be much easier to do your poses on. When you have an uneven carpet surface, it takes a lot of effort to keep a pose still. Make sure you place a towel down underneath your mat though because your sweat can get into the carpet and make it stink. Many professional yoga studios have mirrors on the wall. However, this can make your yoga practice suffer. When you look at yourself to see how well you’re holding a pose, your energy begins drift away from your body. Your energy should be within you at all times because yoga requires focused breathing techniques. You might hold your breath if you get too distracted by a mirror. It’s a personal choice though. Try experimenting with, and without, a mirror to see what option works best. The lighting in your home yoga studio should be warm. Consider getting a dimmer for the ceiling lights if you have some. It’s wise to make sure your room’s temperature always stays the same. This can help you gauge how hard you are working. This blog article is part of our “Best Idea’s Series” where we look to bring you refreshing ideas related decor and lifestyle. This article is attributed to Jane Blanchard. 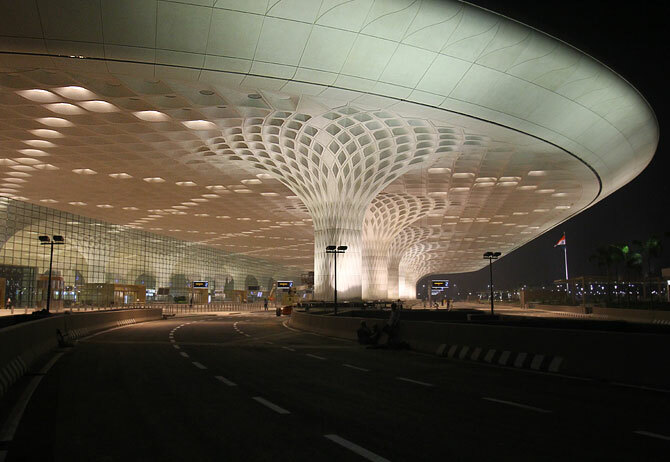 If anyone has been to Mumbai airport recently, you would know that it is definitely worth the trip to go see. 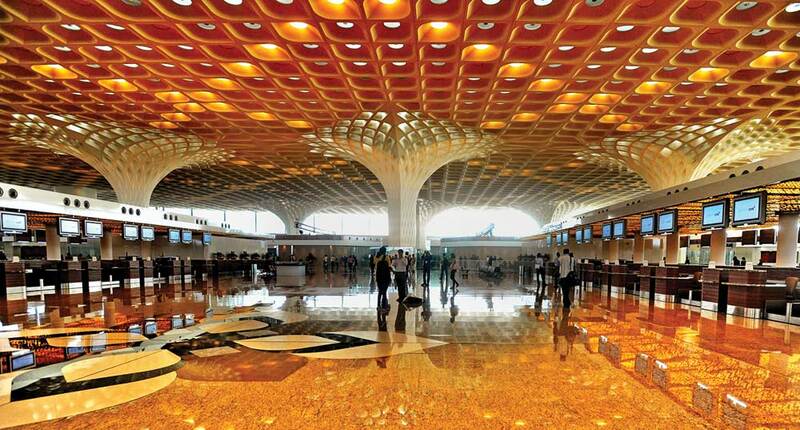 The Chhatrapati Shivaji International Airport, or the Mumbai International Airport as it is most commonly known, is an extensive airport full of high-end shops, addictive eateries and the most beautiful architecture and examples of art India has to offer. The Airport is ranked the 48th busiest airport in the world by Airports Council International, which also ranked it third best airport in the world in 2011. Currently, there is construction going on to make a new terminal 2. It is presently in use but is expected to be officially finished some time in 2015. 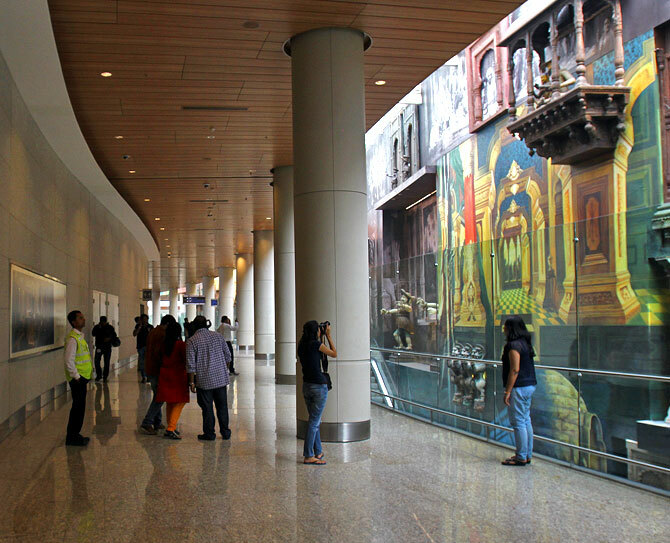 An impressive addition to this terminal is the Jaya He Art Museum which portrays countless images on 18-foot walls telling the history of India. It is, in my opinion, a seamless modernization of India’s more traditional art and imagery. It has been referred to by BBC News as “India’s Largest Museum” and with 40 million passengers daily, is expected to have more guests than the Louvre Museum! This step toward culture and the modernization of our more traditional art shows that India is ready and able to delve more deeply into the art world. To discover art for your home and office, take a peek through Art and Decors, India’s premier e-commerce brand for luxurious art, decors and designer jewelry. And yes we ship worldwide. My room houses a desk, a shelf, a set of art prints on the wall, a display shelf, and bed sheets that match the unique fan I have at the top. I am currently in the middle of plans to paint my room a color that compliments my furniture better. 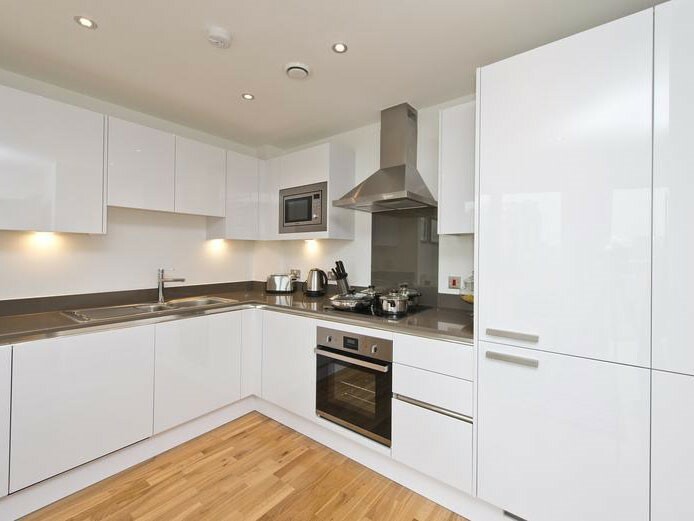 This has got me thinking… why do we care quite so much about the look and feel of our homes? I find that through the personalization and visual motif in my home, I receive great happiness and satisfaction. Buying art doesn’t have to be an unknown or scary process. The best way to get started is to check in your local markets or online on sites like Art and Decors and see what type resonates with you. In fact, using sites like Art and Decors and their ArtView showcase, you can ‘try’ out the art on your own wall before buying – this means a more informed decision for me as a buyer. All in all, art is the most personalized form of self-expression and one that everyone should get a taste of. Red, the most eye-catching color represents passion, blood and energy. There is no other color which evokes as many emotions as red. Full of drama and passion, it’s not a color for the faint of heart, but when thoughtfully used — whether on a wall or in a handful of accessories—it can make a room come alive. Red works to neutralize cooler colors like greens and blues, giving a sense of warmth to the room. Red also brings life and energy to dull and uninviting spaces. You can easily introduce red to a room with flowers, throw cushions, vases or other accents. So jazz up and introduce red-hot passion in your home with some gorgeous home decor inspirations.